The MRC Series is a bench top re-circulating chiller that offers dependable, compact performance by controlling the temperature of a coolant in a liquid circuit. The coolant is re-circulated using a pump with high MTBF. Heat from coolant is absorbed by a heat exchanger and dissipated thru high density heat sinks equipped with brand name fans. The thermoelectric modules are custom designed to achieve long life operation. The unit is regulated with an easy to use digital temperature controller with push button interface. The controller can control temperature of liquid circuit at outlet from -12?C to 40?C. 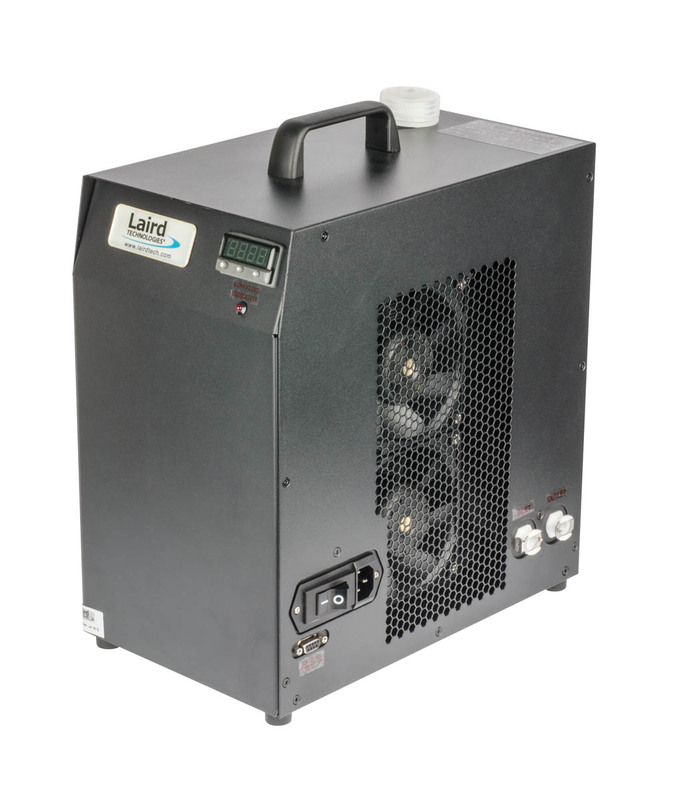 The unit is housed inside a sheet metal casing and operates on universal input 115/230 VAC and is UL/IEC rated. Custom configurations are available, however, MOQ applies.